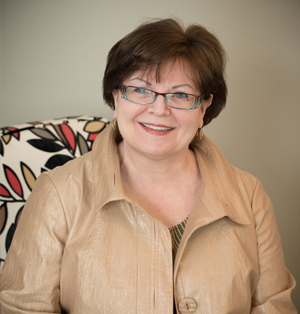 Pauline has over 25 years experience dealing with a broad range of organization development issues. She is highly regarded for her extensive experience in designing and delivering organization development interventions. She has worked with a national grocery chain with responsibilities ranging from executive coaching, on-site troubleshooting and franchise store openings, management and employee orientation. As well she developed an expertise in design and delivery of customer service that took her abroad as a public speaker and resource person. During an 11 year period, Pauline assumed the position of managing partner of a medium sized consulting firm in Ottawa. Pauline’s transparent approach and positivism help set the tone for organizational and personal success. Her strength lies in her ability to reframe organizational development initiatives in a practical and realistic framework. Pauline’s excellent analytical skills and wide-ranging experience have served her clients well in the design and application of innovative programs at all levels. She has worked in banking, food industry, health care and government at all levels including municipal, provincial and federal. Given her experience, Pauline has attained and honed her capacity to work at all organizational levels, from facilitating strategic plans at the executive level to helping delivery teams excel in their customer service and care programs. She has an effect that is positive and crucial in assisting leaders, teams, and individuals initiate changes that are often times considered meaningful “life changing events”. Her hands-on experience in community and economic development have served her well in community-based, business and government settings. Mediation and conflict resolution: facilitation of group meetings as well as training workshops. Pauline has studied at the St-Boniface University, Universities of Manitoba, Lethbridge and Moncton, various courses associated with Dannemiller Tyson Associates (Michigan), Designed Learning (New Jersey). She is proud of her Metis heritage, has strong oral and written presentation skills in both French and English.